Centro MundoLengua | Educational tours – Spain, Portugal and Morocco! This fall we had some college students from the USA study abroad with us in Seville, Southern Spain. They stayed for a whole semester meaning there was plenty of time to explore! During their stay we took them on various educational tours. This was so that they could expand their knowledge of the world, improve their Spanish and have a great time! 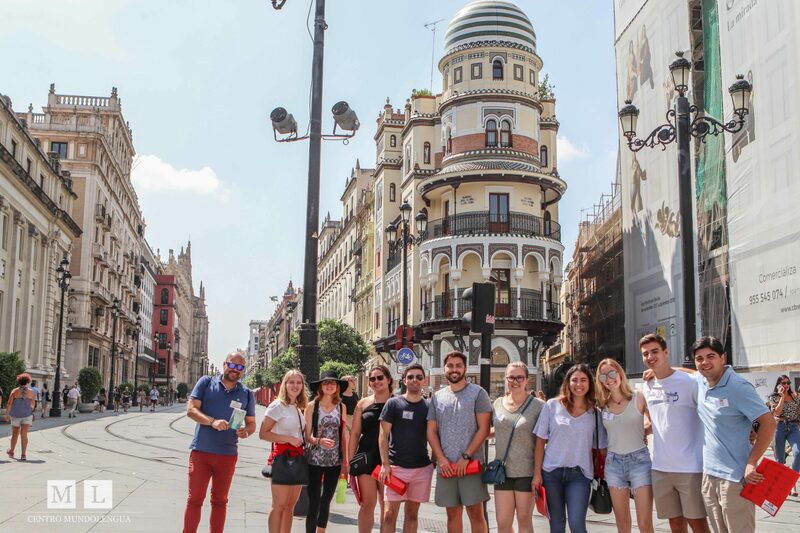 As we are based in Seville, each week took our college students to different parts of the city to do an ‘outdoor class’. This way they could learn more about the history and culture of this majestic Spanish city and see what they are being taught about. It’s fair to say that our college students now know Seville like the back of their hand! We also like to do many practical learning activities whilst at historic monuments or anywhere during the outdoor classes. It is much easier to learn and retain info if you are being interactive and enjoying the beautiful surroundings at the same time! 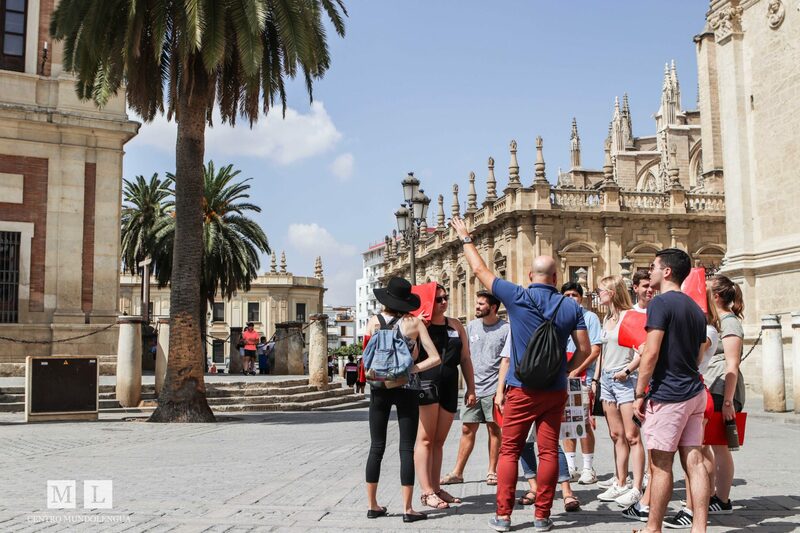 It is one thing to learn the Spanish language and history in the classroom, but it’s another to touch, see and experience the history first-hand. You can more clearly learn about one of the largest Cathedrals in the world when you’re observing its beauty inside and out. It is more engaging to see the contrasts in architecture at the Real Alcazar, knowing its history of ownerships and backstory. 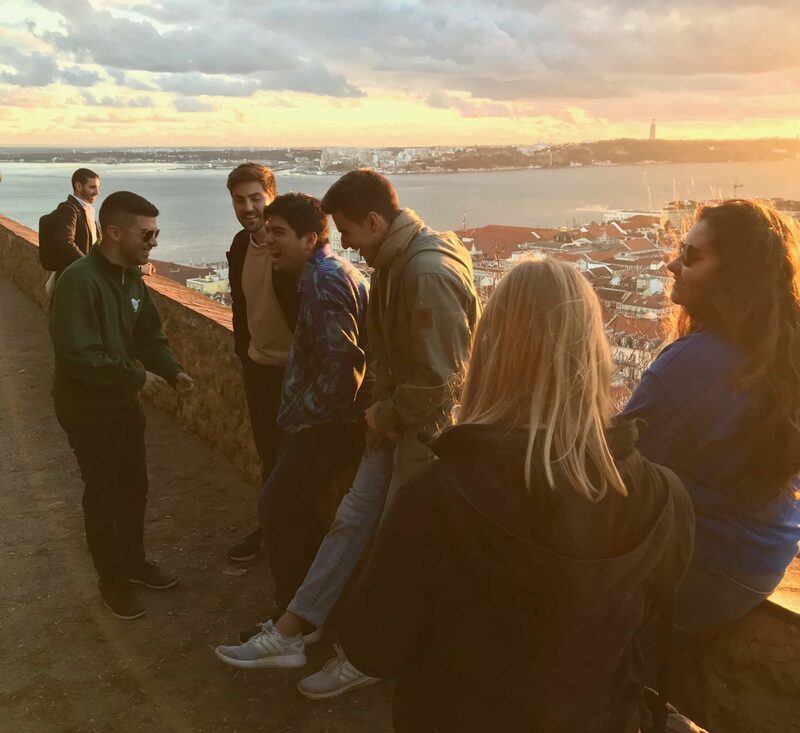 To sum up, it is a whole new experience to be there in person..
One of our educational tours was to Lisbon, the capital and largest city of Portugal! The city is full of colorful ceramic tiles, beautiful viewing points and amazing food. Legend has it that Lisbon, like Rome, is built on seven hills. 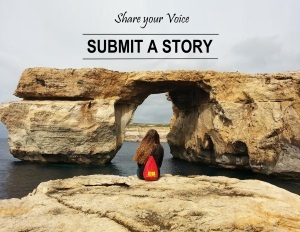 Each one has its own story to tell, with its viewpoints revealing the city’s amazing landscape from different perspectives. We immersed our students in the Portuguese culture, arts and history. This was so they could truly appreciate the Portuguese way of life! 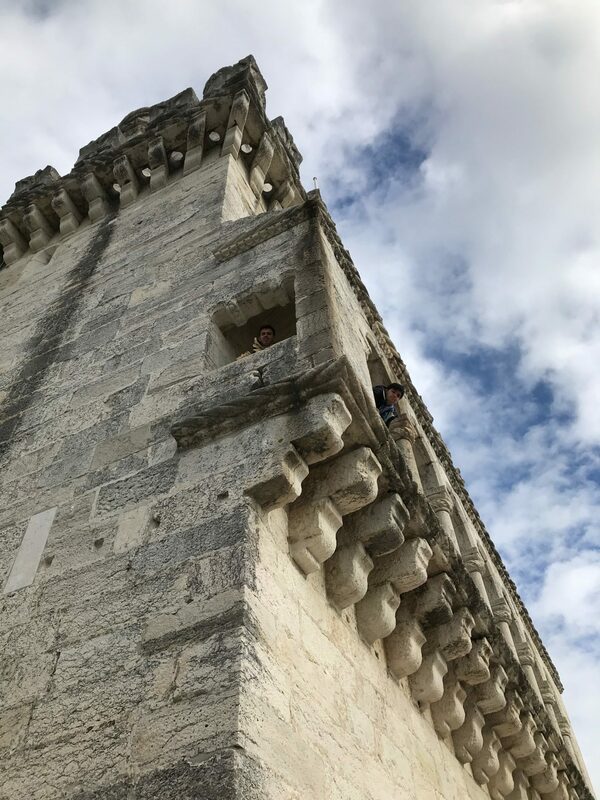 During this 3-day educational tour we fit in a lot of activities, for example: exploring the central squares, Carmo Convent, Alfama and Chiado neighborhoods, the Jerónimos Monastery, the ancient and medieval parts of Lisbon including the Castle of San Jorge! As we are a Spanish school we explain everything to our students in Spanish so that they keep on improving their language skills! As previously mentioned, we are based in Seville, which is only a short journey to Lisbon. Another place which is relatively close to us is Morocco! This was another one of our educational tours. We hopped on a ferry to get there. This turned out to be a really scenic ride as there was a lovely sunset with mountains in the distance. Check out the picture below! 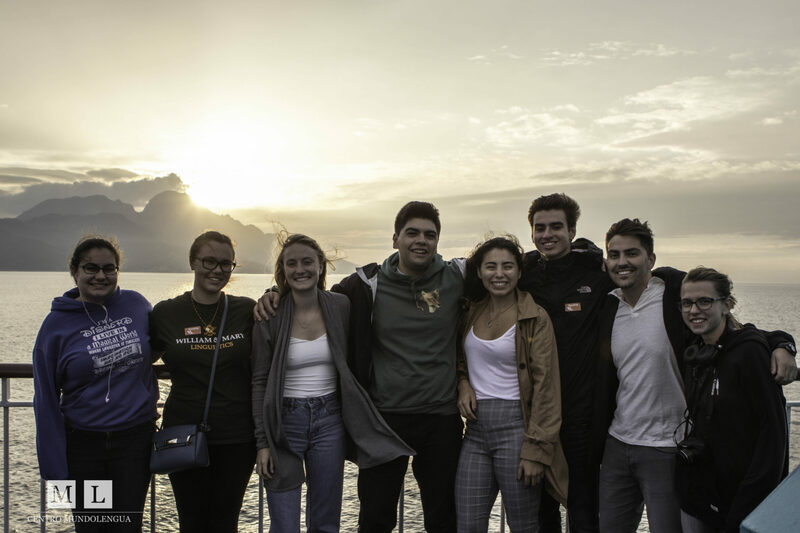 Our students ticked another continent off the list with this excursion! Have you ever been to Africa? Our students didn’t know what to expect. The Moroccon culture is so much different to that of the other European countries we had visited on the previous educational tours. Furthermore, although Spain and Portugal have unique landscapes, as they are side-by-side and share land they are somewhat similar. Whereas by crossing over to Africa, the views in Morocco were very different. One of the main highlights of this excursion was riding camels in the desert. 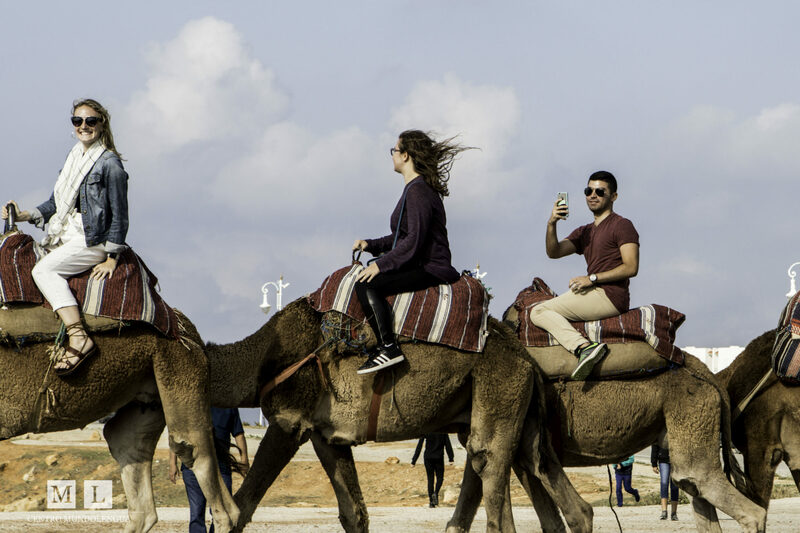 Our students loved it and filled up their instagrams with camel-riding pics! We also explored some caves and went to an area that felt like the edge of the world… It was a true adventure! We like to add that fun-factor to our educational tours. After all, you come to both learn and have a good time! So why go on Educational Tours? 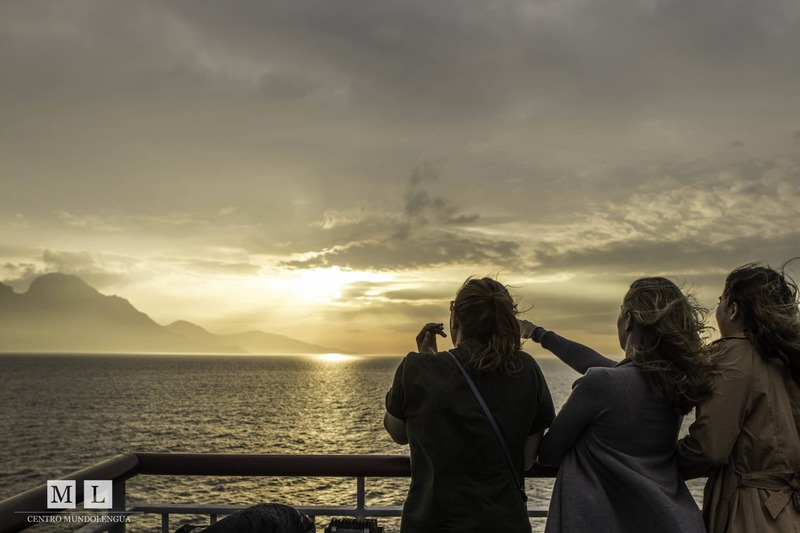 Travelling provides for a mind-opening experience, as you get to see how different societies live and work in other parts of the world. Furthermore, you get to try new food and learn from locals about their culture. These are some of the many advantages of going on educational tours. 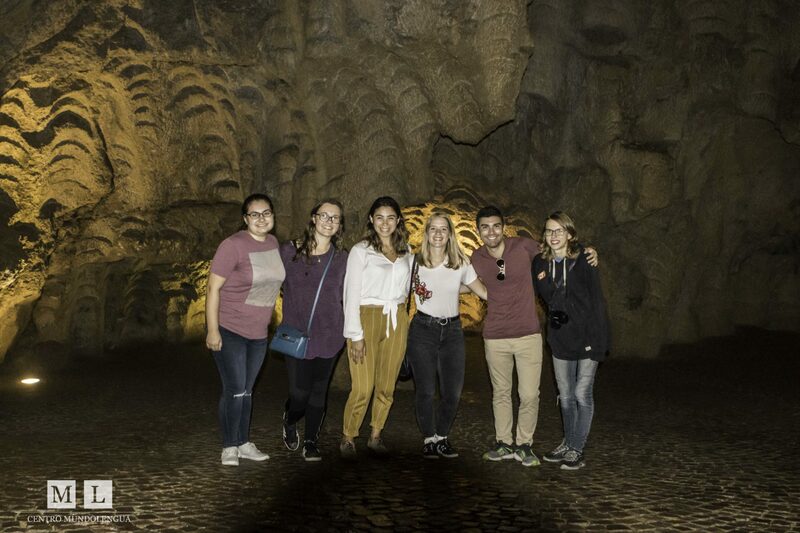 If you are studying abroad with us you will have so many opportunities to go out and discover new places… Do you think it would be an amazing experience to study in Spain for a semester? 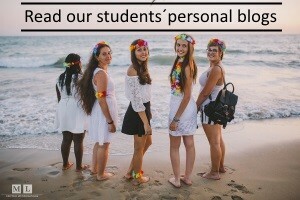 To go on educational tours around the world? To learn or improve your Spanish dramatically? Then click this link for more information! !